Since 2017, Tofino Arts Council has provided assistance to local artists and organisations who are offering arts and cultural activities in Tofino and Clayoquot Sound through its Small Grants program. The aim of the program is support artists or organisations in producing or promoting artistic / cultural projects, events or activities by providing Grants up to a maximum of $500. Such activities must take place within the local area and be carried out by local residents or artists. Small Grants are awarded on merit, with a limited number available within each grant cycle. The current application cycle is now open and closes on December 15th 2018. Applications will be assessed in January 2019 with successful applicants notified shortly thereafter. 1. Grants are available to individuals and organisations who have a TAC Membership in good standing. 2. 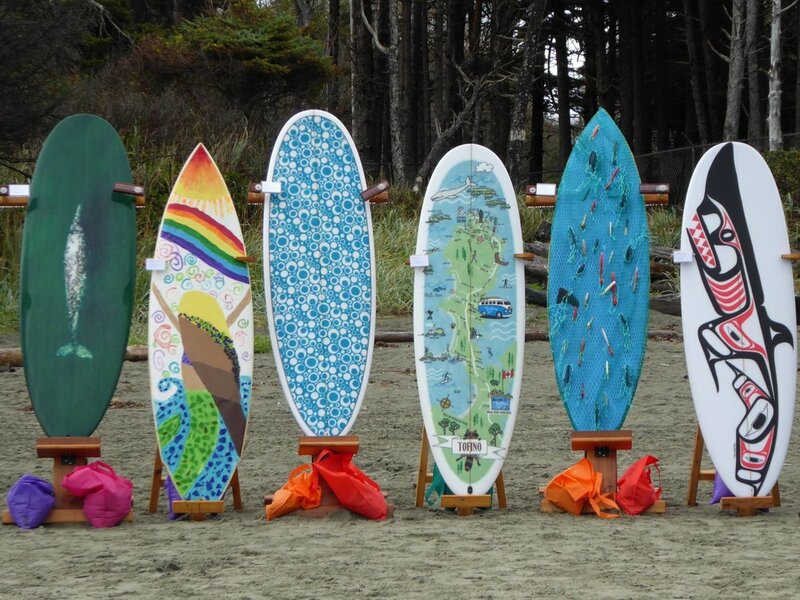 Activities must take place in the Tofino / Clayoquot Sound and be primarily artistic and/or cultural in nature and be of benefit to the local community. 3. Funded activities can be events, workshops, programs, cultural or community development, presentations, performances, concerts, festivals which include one of the following but not limited to: literature (drama, poetry, and prose), performing arts (dance, music, and theatre), visual arts (ceramics, drawing, painting, photography, and sculpting), film (production, presentation, film-making), woodworking, cultural and historical celebration of local artwork and / or artists. 4. The grant must be used only for the activities for which it was awarded. If the grant holder cannot use the funds at the expected time, decides not to carry out the project or program of work as expected, or refuses the grant conditions they must notify TAC immediately. 5. TAC’s support must be acknowledged in all publications, publicity material and promotional material associated with the grant. 6. Grant holders are required to submit a 250 word (max) Final Report after the activity has been completed. Grants amounts of up to a maximum of up to $500 are available. For more details and to apply, Click here to download an application form. Completed forms must be returned via email to: info@tofinoartscouncil.com by December 15th 2018.